Mudar Zahran, whose calls for empowering Jordan's Palestinian majority have angered authorities, faces trial in absentia. 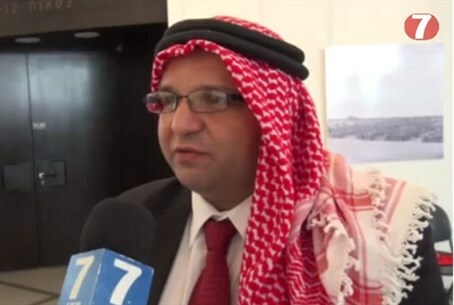 A Jordanian-Palestinian dissident has voiced his fears over a politically-motivated indictment by a Jordanian court, issued in reaction to his vocal opposition to the ruling Hashemite monarchy there. Mudar Zahran, who hails from the Palestinian Arab majority in Jordan, has been charged in absentia by a military court on numerous charges for his outspoken stances on Palestinian rights in Jordan and reconciliation with Israel, among other things. In particular, Zahran has repeatedly leveled criticism over the Kingdom's "discriminatory" treatment of Palestinians living under its rule. In an interview with Al Jazeera, Zahran once said he wished "Jordan’s king would treat his (Palestinians) the way Israel treats the Palestinians". The indictment cites four separate charges against him, relating to what it labels: "incitement against the ruling political regime of the Hashemite Kingdom of Jordan, (calling for) changing the basic conditions of society, inciting hatred and racism, calling for conflict between the elements of the nation and using a long tongue [i.e. criticism - ed.] against the king and undermining an official entity." If found guilty, he could face four years of hard labor. But speaking to Arutz Sheva, Zahran said he didn't expect to survive long behind bars in Jordan, given the country's abysmal human rights record. "They'll just kill me and then there will be a report that 'Mudar Zahran committed suicide in jail' or something like that," he said. Among Zahran's most high-profile statements have been his calls for full democratization in Jordan, which is currently an absolute monarchy under King Abdullah II. Jordan is ruled by the Hashemite dynasty, a small tribe originally from modern-day Saudi Arabia. The majority of the country's population, however (anywhere from 60-80%), identify as "Palestinian"; giving them the vote would essentially transform the country into a Palestinian state, he points out, hence his calls for a secular, democratic state is seen as an existential threat to Abdullah's minority rule. "My call for a civil state that provides equality to all Jordanians including the West Bankers, East Bankers and Christians are a major threat to a King who survives on an apartheid regime," said Zahran, who added that the indictment only served to prove the amount of support that existed for his cause "otherwise, why would the king single me out of all of his opposition members living in exile?" Zahran currently lives in London, where he has been granted political asylum, but says he is concerned that the Jordanian regime is attempting to take advantage of the recent deportation of radical Islamist cleric Abu Qatada to hunt down its political adversaries in the UK. He did however voice hope that "the UK would not provide a human sacrifice to the king; Jordan has had one of the worst records on human rights [whereas] the UK does value human rights and I don’t think they would send me into that fate. "Honestly, I think the king has run out of options with my ideas gaining momentum and this Mickey Mouse indictment is his last ditch effort," he concluded. The outspoken activist has also attacked other Arab regimes - including the Palestinian Authority - for manipulating the "Palestinian cause" to serve their own agendas, and has spoken out against the "demonization of Israel in the western media," which he labels "a threat to Palestinians." "Demonizing Israel is not good for the Palestinians... Arab dictators such as Jordan’s current king, have been able to butcher and oppress Palestinians only because the media is busy demonizing Jews in Israel," he asserted.